Clean cut lines and geometric shapes envelope over 27,000 square feet of prime real estate in Central Jakarta. 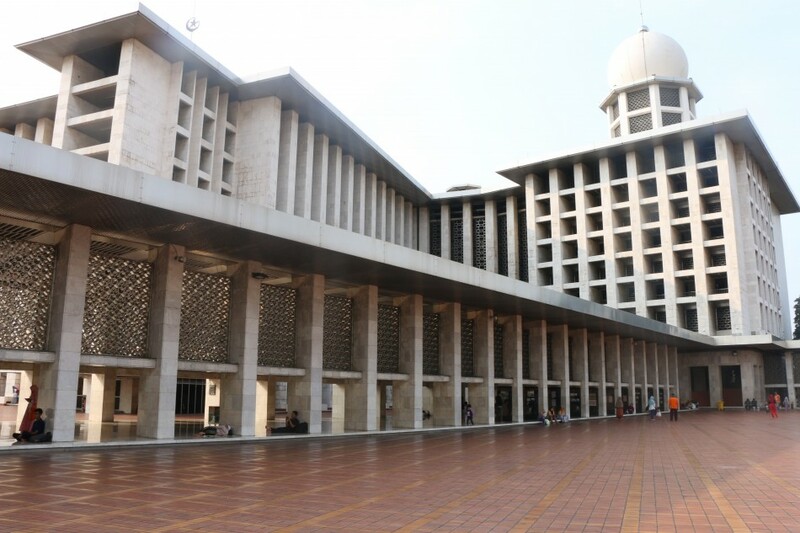 The Istiqlal Mosque is not only a place of worship for Muslims in Jakarta but is also a physical representation of religion itself. The mosque was built by a Christian architect Frederich Silaban after the Netherlands acknowledged the independence of Indonesia in 1949. Silaban worked closely with Islamic leaders to ensure the design was appropriate and meaningful to the Muslim population. Jakarta tour guide Hendy Sigitprabowo believes the Mosque is more than a building to house prayer, but has now become a landmark of Islamic religion. “Every column and every level means something to Islam. For instance, the building has seven entrances for the Seven Heavens mentioned in the Qur’an,” he said. Mr Sigitprabowo says the Mosque doesn’t just implicitly depict Islam, but also exudes the religion in a more literal sense. 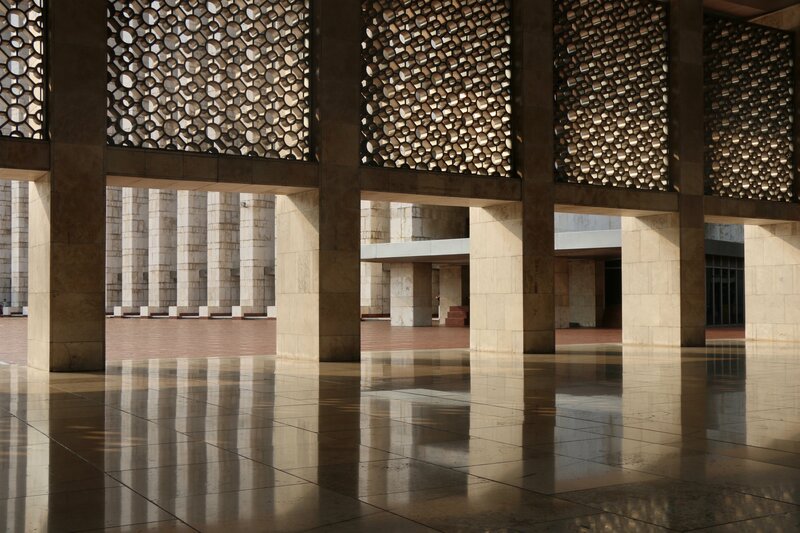 “The outside of the building shows the public that Istiqlal Mosque is a place for Muslims. The pinnacle of the central dome is the crescent and star symbol of Islam itself,” he said. Jakarta local Putri Aulia Faradina says that it is important for foreigners to come visit the mosque, as it is one of the very few that allows non-Muslims to enter. “I think it is important that non-Muslims visit the mosque, because it is a place where all the people can pray and learn about Islam,” she said. “I hope the visitors from other countries can gain knowledge and be inspired by Islam and its story,” Miss Aulia Faradina said. Mr Sigitprabowo adds that the positioning of the Mosque is no coincidence. 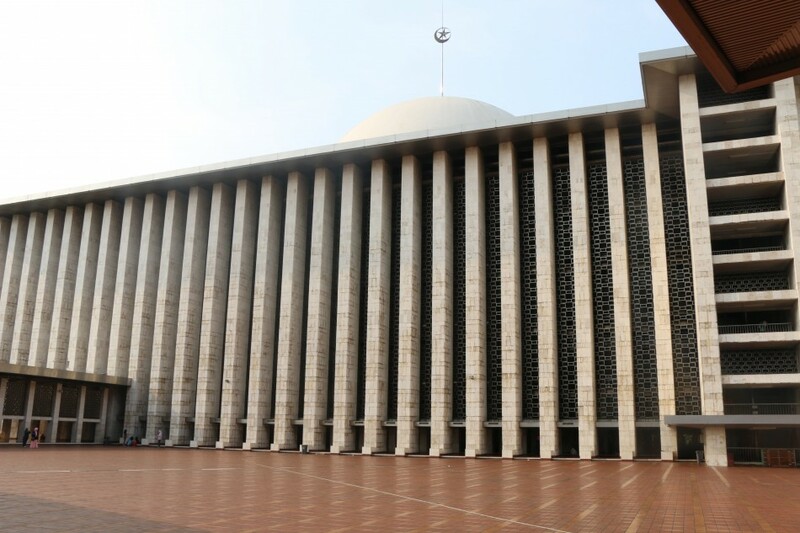 The mosque was opened to the public in February 1978 after 17 years of construction and named Istiqlal stemming from the Arabic word for independence.